This page shows the latest olaparib news and features for those working in and with pharma, biotech and healthcare. 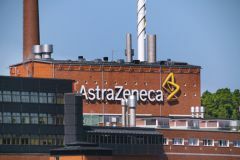 moving ahead with three pivotal trials of the PD-1 inhibitor alongside AstraZeneca-partnered Lynparza (olaparib), chemotherapy, and anti-hormone drugs. Approximately 11 fully matching, plus 62 partially matching documents found. olaparib) plus biologic PD-L1 immunotherapy Imfinzi (durvalumab). ... KUDOS had discovered olaparib, the first-in- class PARP inhibitor, which Galbraith’s team developed and brought to market as Lynparza. But now hopes are high for two late-stage drugs: olaparib and selumetinib.